Hi, i have a Problem with my brand new LS-CHL. The Torrent Client dosnt work! I try with FW1.01 and FW 1.02 and the same Problem! 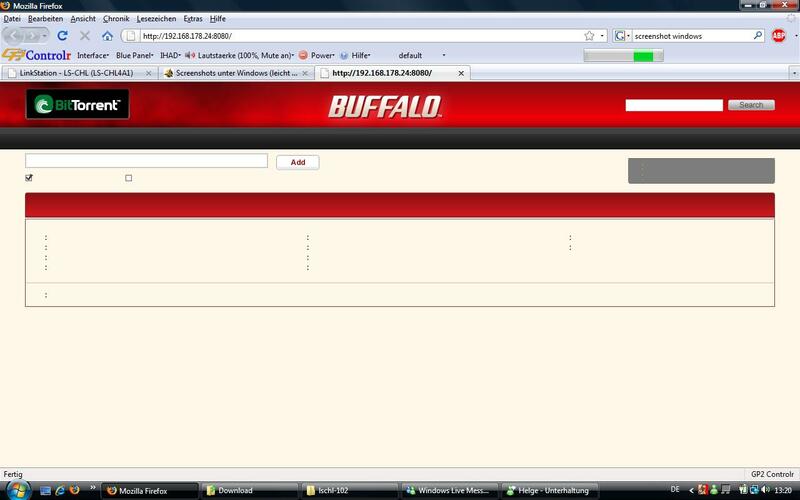 No Links on the Webinterface, look@the Screenshoot! Has anyone the same Problem an what can i do to solve this? Is this a Hardwareproblem? Do you use English version of Windows OS? BitTorrent UI seems it only supports English. If you are using other language or Mac OS, it may not display everything correctly.